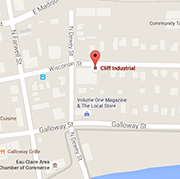 Cliff Industrial supplies a wide range of Browning Industrial Belts. Search this list for your part using ctrl-f. If your part is not listed, give us a call, our professionals will help you find an industrial belt for your application.